Ayia Napa is much larger than many other holiday resorts and is spread out over a wide area. Starting from the west as you approach Ayia Napa you first come to Ayia Thekla which is a huge development of villas, a mix of residential and holiday lettings, as well as the church of Ayia Thekla (Ayia means “Saint”). The area of Ayia Thekla has its own beach as well as many smaller, secluded spots of sand along the seafront. 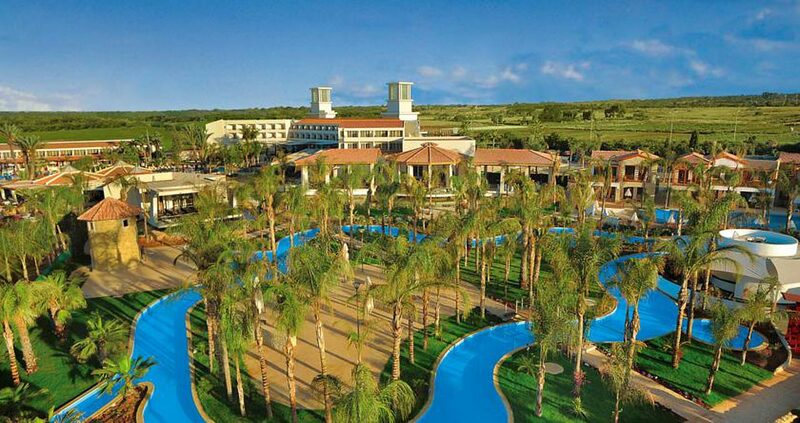 Next is Makronissos which is where you'll find Waterworld Waterpark, Makronissos Beach club, and several excellent hotels and apartments. Recently this specific area is becoming more and more upmarket and in future years the new and modern Marina of Ayia Napa will be positioned between here and Ayia Thekla. 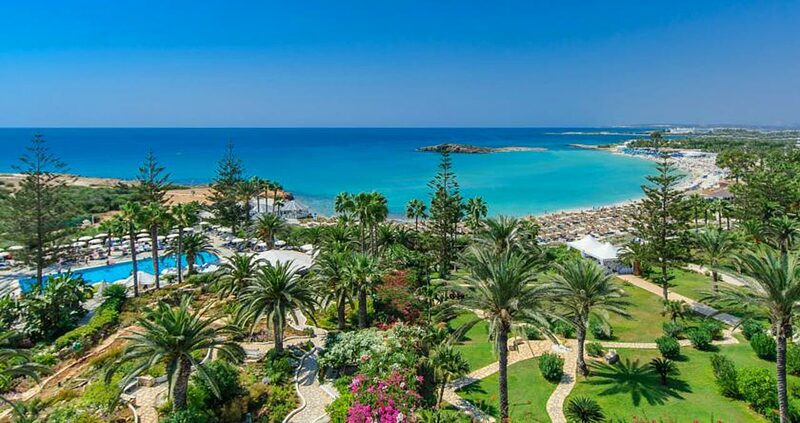 Makronissos has three gorgeous gold-sand beaches, and just next door is the equally exquisite Landa Beach. Ayia Napa is a large and world-renowned tourist resort and is a hybrid of activity with loads going on day and night throughout the summer and its crystal blue waters are a hallmark of its beaches Book your Ayia Napa summer holiday and enjoy the beauty of its beaches and unique summer ambience and relax in the perfect summer holiday. With great weather (Northern Europeans bring plenty of sunblock!) and amazing scenery, Ayia Napa is one of the best places on the planet for comparatively cheap summer holidays. Perhaps the most famous of all beaches in Ayia Napa is Nissi Beach. Comprising twin bays it is where most people head to during the day. Hotels in this area are deluxe and it is also a top destination for honeymooners. As we head along Nissi Avenue we encounter Sandy Bay which is a beautiful sheltered cove. The whole area from Makronissos to Sandy Bay is often called Nissi Bay and is almost a mini resort in itself. It encompasses of a selection of family friendly bars and restaurants away from the bustle of the town for those who prefer less buzz and more quiet. A couple of kilometers due east along Nissi Avenue, past the shops and restaurants, one arrives at the town centre. This is where the majority of the bars and all the clubs are located. It's also where you'll find most of the shops, the harbor, and a host of activities to take part in. Most of the accommodation in the town centre is fairly basic and self-accommodating, as it serves the needs of the clubbing masses. Heading from the harbour towards the east, and within walking distance of the town centre, is Grecian Bay; a long sweep of sand with several gold-standard hotels, a selection of restaurants and it has an inherent exclusive feel to it. As we head out of town to the east we reach Cape Greco, which is a national park. It is a popular spot for diving and fishing and is an ideal place to watch the sunrise. 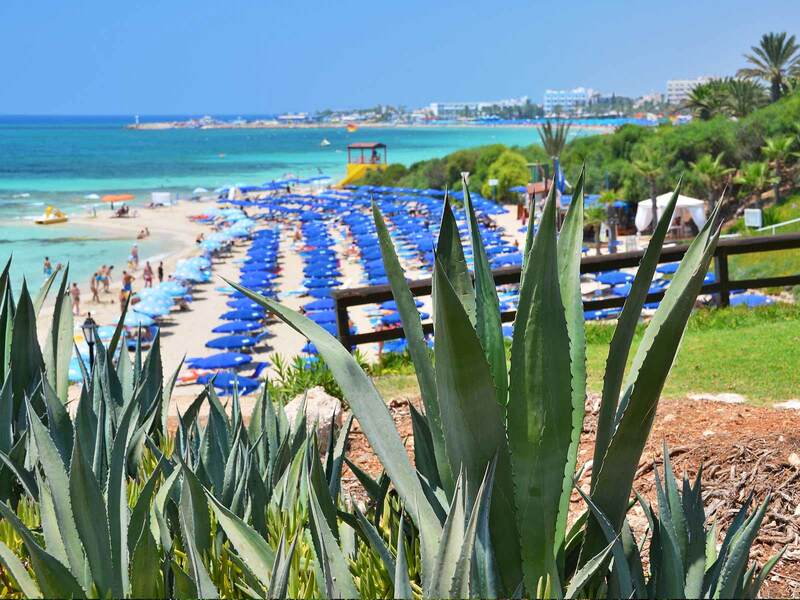 Read our ‘About Ayia Napa’ page for more information on Cyprus and Ayia Napa where you will read about the gorgeous pine fringed beach of Konnos Bay. Note that Cape Greco is popular with hikers, walkers, cyclists and nature enthusiasts. You can also bungee jump, ride the slingshot, scuba dive, or ride a bucking bronco. You can go to a beach party, a pool party, on a boat trip or any of the many bars. There are hairdressers, tattooists, gyms, beauticians, as well as dance classes and fitness instructors. Ayia Napa has some of the best night life in Europe, with a wide choice of clubs and over seventy bars - there is something for everyone in Ayia Napa. Whether you're looking for a beach holiday, a fun family break or going solo, it is a getaway for all tastes and types. It is packed with bars, clubs and entertainment to suit every taste and budget; from the latest EDM, Hip Hop, House and RnB, right through to rock music, acoustic performances – and of course, karaoke. Ayia Napa has a 14th century monastery, a museum and several churches. There are sea caves, a national forest park area, and many bicycle paths. As with any town you will also find your usual banks, florists, mechanics, bakeries, computer shops, camera shops, dentists, doctors, estate agents, travel agents, insurance companies and many other amenities. - There are shops with everything from souvenirs and beach-wear to jewellery and designer clothing. - You can enjoy every kind of beach sport or activity. - Go to a pool party, a foam party, on a boat trip (including glass-bottomed boats) or hit the bars. - There are hairdressers, tattooists’, beauticians and gyms, as well as dance classes and fitness instructors. 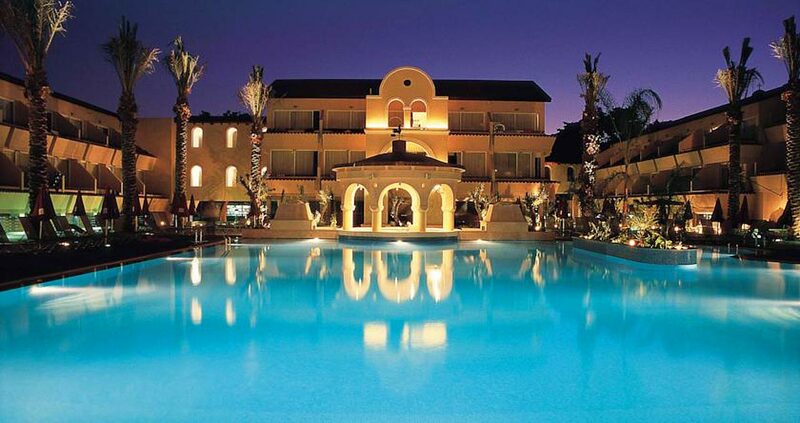 - Ayia Napa has a 14th century monastery, an ancient aqueduct, a museum, and several churches. - There are sea caves, coves, a national forest park area and many bicycle paths. - Lay on the gorgeous beaches, soak up some nature, take in the culture or dance till dawn. Weather: These are the hottest months of the year, ideal for swimming and all kinds of beach activities and water sports. Average temperatures range from 18 °C to 40 °C (64 °F to 104 °F). What to pack: Very light-weight cotton summer clothing is recommended, sandals, as well as, sunglasses, plenty of sun cream and a hat (especially around midday). If you are planning to spend time exploring the mountainous areas, bear in mind that the temperature can drop considerably – especially in the evenings. In this case, it is recommended to pack items of clothing which will provide you with warmth. What to do: Sunbathe, swim, water sports, or go hiking in the mountains where it is fresher. Visit places off the beaten path and enjoy the warm and friendly hospitality of the Cypriots. Famagusta (Ayia Napa and Protaras) provides many beautiful sandy beaches, good facilities and water perfect for swimming and snorkeling. Looking for Hotels in Ayia Napa? 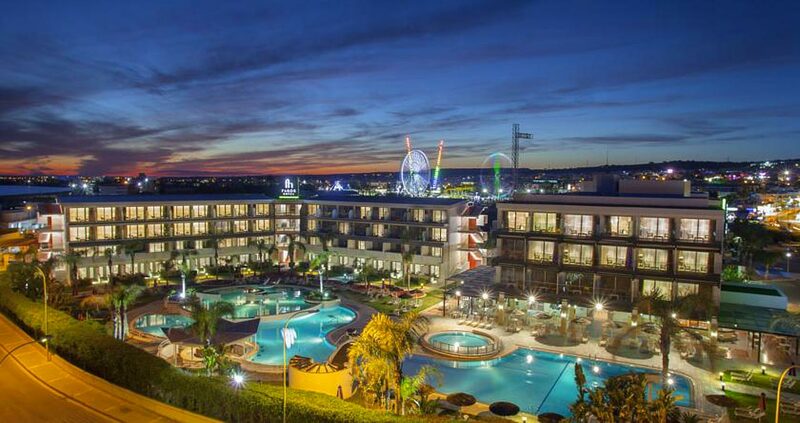 Explore our wide range of hotels in Ayia Napa and the region and find the perfect hotel for your stay. Nestled along a private stretch of Mediterranean beach, this 4-star resort features 3 pools and 100,000 m² of tropical gardens. It has a spa with sauna, hot tub and massage services. 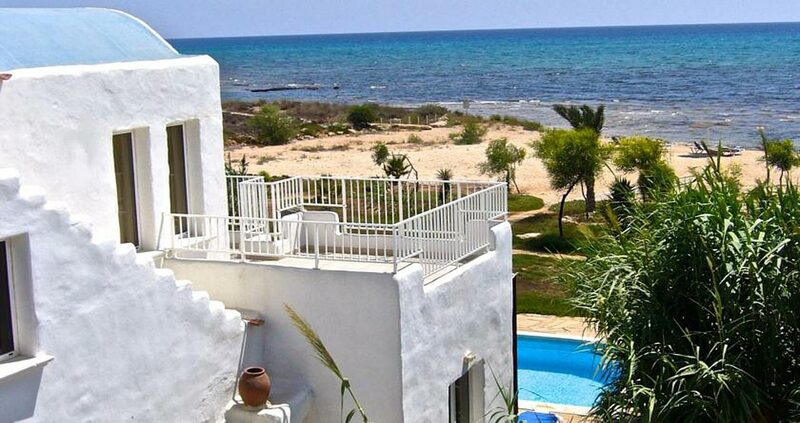 This family-run property offers self-contained villas a few metres away from a secluded beach in Ayia Napa. Featuring free WiFi, each villa has its own private pool and roof terrace with views of the Mediterranean. A beachfront cabana, where guests can enjoy body and facial treatments, is also available. With its huge outdoor swimming pool, this hotel is ideal for a relaxing break bathed in Mediterranean sunshine on the island of Cyprus.